Heterogenous replication involves moving data from one database platform to another. This is a complicated endevour because datatypes, date & time formats, and a whole lot more tend to differ across platforms. In fact it’s so complex many enterprises simply employ a commercial solution to take away the drudgery. Enter Tungsten, which supports these types of deployments, on platforms as Postgresql, Mongodb, Oracle, Redshift, Vertica. With custom built appliers the field is infinite! With that I’ve set out to get things working with Amazon Redshift. If you’re still struggling with the basics check out Wrestling with bears or how I tamed Tungsten Replicator. The first thing you’ll need to do is allow your Tungsten boxes to reach redshift. Seems obvious, but when you’re juggling all these apples & oranges for the first time, it may slip you mind. Get the external IP address of your tungsten box. If it’s in DNS this will work even if ping doesn’t. Add 10.20.30.40/32 to your Redshift security config. I created a special group called Tungsten and added the two tungsten boxes by IP address. That’s because these machines were on a different AWS account. If they’re on the same account, you could allow the entire EC2 group, and be done. 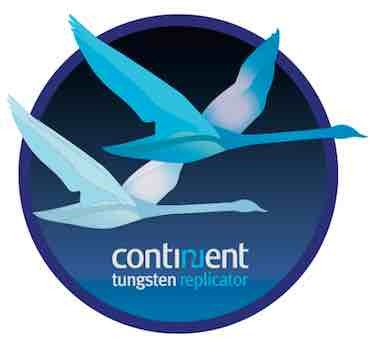 Tungsten uses S3 heavily to move data into Redshift. (I outlined this previously in 5 Reasons to move data to Amazon Redshift. Lastly edit the tungsten /opt/continuent/share/s3-config-redshift.json. There are four parameters. Related: Is Oracle killing MySQL? In a heterogenous environment, that is where source and destination databases are different platforms, Tungsten cannot create tables for you. It will however, give you a helping hand in the process. Enter the ddlscan tool, which scans the CREATE TABLE statements on your source database, and generates them for your target platform. Read: Are we fast approaching cloud-mageddon? It was causing an interim bucket to be created. But that did not solve things. Ok. So I hacked this a bit. Anyone can help me troubleshoot what happened & why? I brought the applier back online with this command. So that indicates all those INSERT followed by DELETES cleaned up things. Also: How do I find entrepreneurial focus? As mentioned previously, this is *NOT* supported. However after doing the ALTER, the applier does *NOT* go offline. Also there are no errors. That’s because Tungsten does not support these and will filter them in a heterogenous environment. The applier *DOES* go offline, after you try a new INSERT. That’s because it gets a new record for INSERT that doesn’t match. Then check the status. It should say ONLINE for state. Also: Was Fred Wilson wrong about Apple? Next PostNext Is Amazon too big to fail?